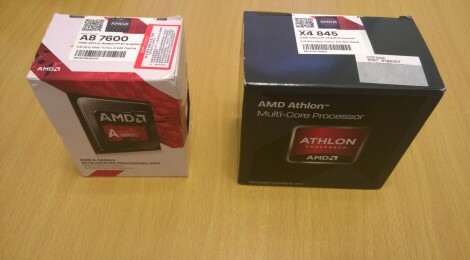 Athlon x4 845 offered more than 10% architectural improvement over the older A8-7600 at 1M, the improvement extended to 20% at 8M. There was a modest gain of Excavator over Kaveri in both single-thread and multi-thread tests. The higher gain in stock clock was probably due to the freed power budget from the disabled iGPU.